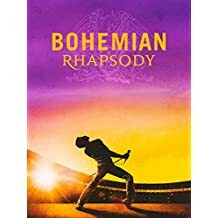 Tuesday 26 March 7.00 p.m. for 7.30 p.m.
An Oscar winning performance by Rami Malek who won Best Actor for his role as Freddie Mercury. An enthralling celebration of ‘Queen’, their music, and their extraordinary lead singer Freddie Mercury. who defied stereotypes and convention to become one of the world’s most popular entertainers. Following Queen’s meteoric rise and their revolutionary sound the film also chronicles the band’s reunion and their performance at Live Aid. One of the unexpected film hits of the year – so put aside your pre-conceptions and come and enjoy a great performance! NB Film Club is generally held on the 4th Tuesday of the month. We always need your help in choosing films – please let us know of any films friends have recommended! Would love to hear your suggestions. Doors open at 7.00 p.m. with the bar open until 7.30 p.m. when the film starts. Tickets £5 Please book in advance if possible to help with the administration! Lifts can be arranged for anyone who would like to come – so do let us know if you would like to be collected and taken home.